Israeli military drills have caused heavy material causes in the Jordan Valley over the past two days, local sources revealed. Local residents told PIC reporter that heavy material losses caused to to Israeli forces who were conducting military drills in the area over the past two days. Agricultural equipment and sheds were totally destroyed during the drills, they affirmed. Rounds of military drills had been carried out in the local homes. Over the past two days, Israeli forces carried out large-scale manoeuvres in the northern Jordan Valley, forcing Palestinians out of their homes. However, the occupation government managed to convince Judge Marzel that the archeologists, who testified in an ex parte hearing (without the presence of the petitioners), that publishing their names would pose a real threat of academic boycott due to their work in the occupied territories under a license issued by the military regime. The Israeli occupation authorities claimed there is also a risk that the archeologists would be unable to publish in international academic journals, and that foreign academics would refuse to work with them in future research or refuse to invite them to conferences, thereby harming their professional careers. 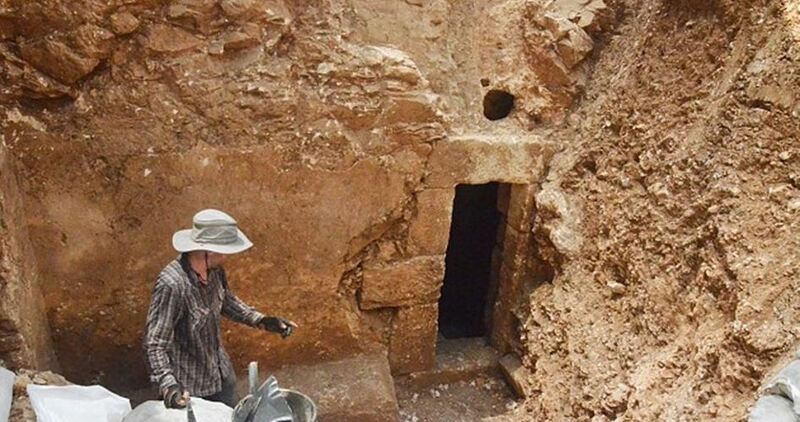 The court also rejected the petitioners’ request for information about where Israel stores the uncovered antiquities. The occupation stakeholders argued, again behind closed doors and without the presence of the petitioners, that the publication of that information would risk the theft of the antiquities. Israeli forces demolished early Wednesday three buildings belonging to a Palestinian family in the city of Lod within the Green Line under the pretext of being built without permit. 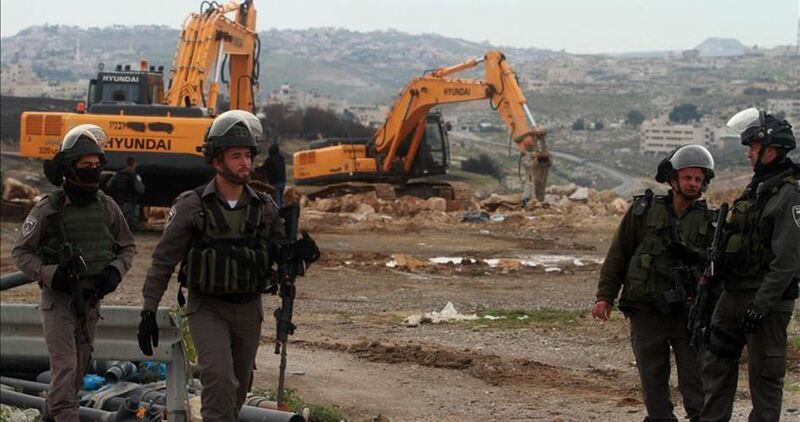 Local sources told PIC reporter that Israeli police forces accompanied with military bulldozers stormed the neighborhood of Karm al-Tuffah north of Lod city at dawn today and declared it a closed military zone. Witnesses said that the Israeli police evacuated the family before starting the demolition process without prior notice. The demolished houses are owned by Shaabin family. Dozens of women and children were left homeless, the sources pointed out. The Israeli Occupation Forces (IOF) arrested at dawn Wednesday 17 Palestinians in predawn raids throughout West Bank and occupied Jerusalem. Israeli Army claimed that 17 “wanted” Palestinians were detained for allegedly being involved in anti-occupation attacks. According to the Israeli military sources, two Palestinians were detained in Tulkarem while another was arrested in Salfit. 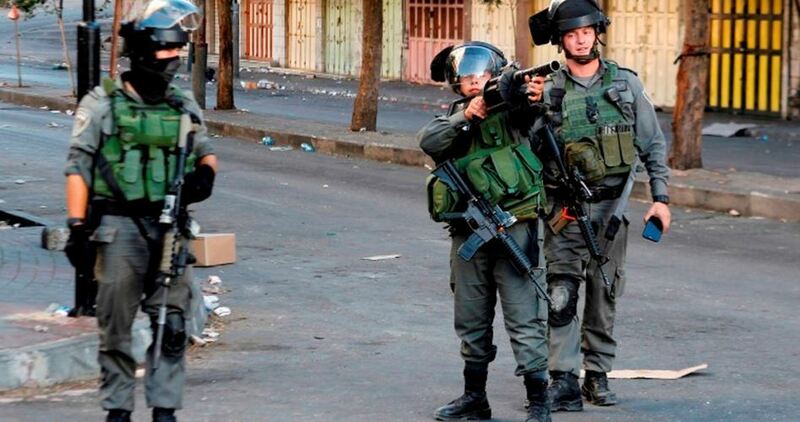 Two more arrests were reported in occupied Jerusalem and five detainees in al-Khalil. 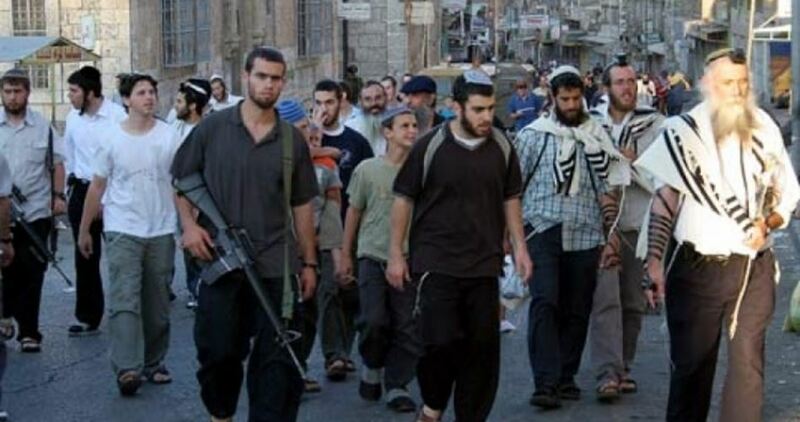 Six Jerusalemite minors were also among the reported arrests. Weapons and amounts of money were reportedly found during the predawn raids, the sources claimed. Local sources told PIC reporter that nearly 15 Israeli vehicles carrying dozens of Israeli soldiers stormed Qalqilia north of West Bank and arrested a young man after being summoned for investigation. A printing house was also stormed and searched in the city, where several equipment were confiscated. A number of military checkpoints were also erected in the area. The Israeli Occupation Forces (IOF) stormed at dawn Tuesday the slain Palestinian Amjed Sukari’s house south of Nablus and confiscated his brother’s vehicle. Family sources told the PIC reported that Israeli forces stormed two houses belonging to Sukari family and questioned Amjad's brother Majdi if his family receive any financial support from any Palestinian faction. 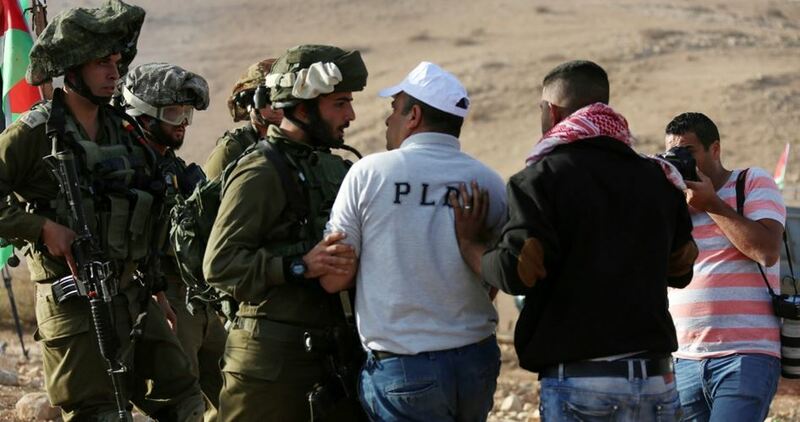 The Israeli forces also asked for the family’s bank accounts numbers before confiscating Majdi’s vehicle under the pretext of being stolen although he possesses the car registration papers. The PA police officer Amjed Sukari, a father of four children, was shot and killed in January 2016 for carrying out an alleged shooting attack near Ramallah. The Israeli occupation bulldozers on Tuesday morning knocked down a Palestinian home under construction in Jerusalem’s eastern village of al-Tour. 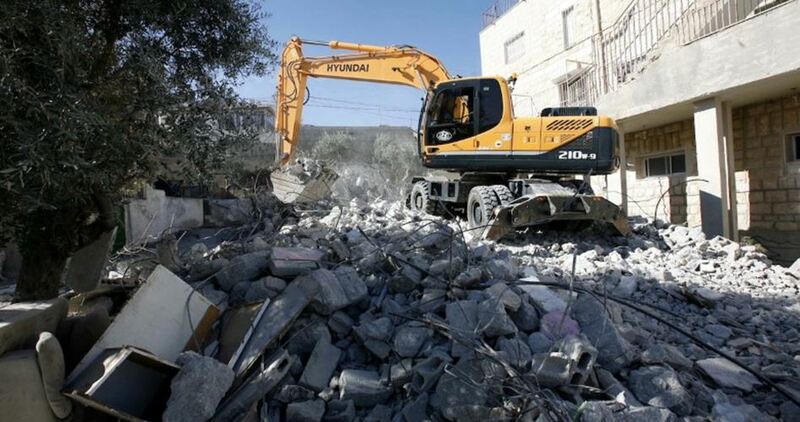 A PIC news correspondent said Israeli bulldozers demolished a home under construction owned by the Palestinian citizen Mahmoud al-Hadara in al-Tour under the pretext of unlicensed construction. Hundreds of demolition orders have been issued by the Israeli Jerusalem municipality since the start of 2016 as part of a larger scheme of ethnic cleansing. Thousands of Palestinians who have gone homeless for months have been forced to build shelters without licenses in the occupied territories due to the tough restrictions imposed by the Israeli occupation authorities on construction permits. Israeli settlers have, meanwhile, had an unrestricted access to building licenses. 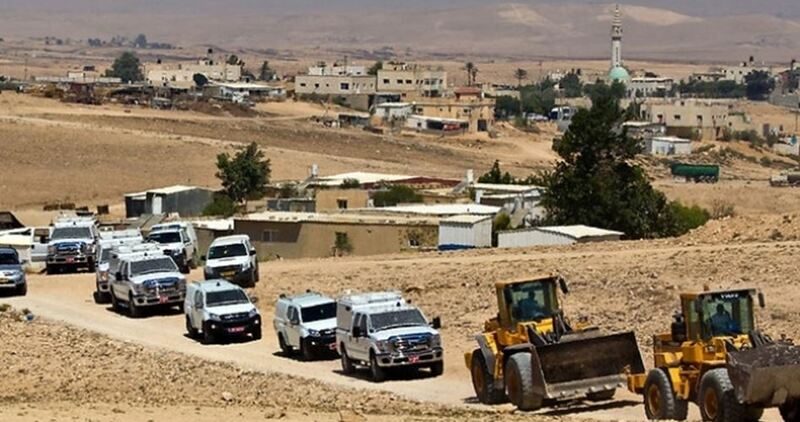 The Israeli authorities intends on Tuesday morning to demolish the Bedouin village of Umm al-Hairan and displace its residents. The Legal Center for Arab Minority Rights in Israel Adalah condemned the Israeli government for seeking to displace the Bedouin Arabs from their homes and making efforts to legalize unauthorized outposts for settlers in the West Bank. Adalah accused the Israeli government of insisting on destroying the village despite a court verdict stating that the residents are not trespassers and live in the area with the permission of the competent authorities. Chief of the village council Ra’ed Abul-Qi’aan appealed to Palestinian activists and politicians to stand by the villagers and work on preventing the demolition of their homes in the morning. 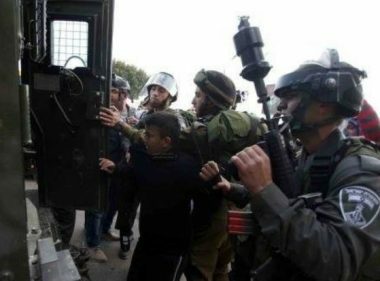 The Palestinian Prisoners’ Society (PPS) has reported that Israeli soldiers abducted, overnight and earlier Monday, ten Palestinians in Jerusalem, Tulkarem, Ramallah, Nablus, and Jericho, in the occupied West Bank. The Tulkarem office of the PPS, in the northern part of the occupied West Bank, said the soldiers abducted two Palestinians, identified as Fuad al-Qeb and Luay al-Ashqar, from their homes in Deir al-Ghsoun and Saida towns. 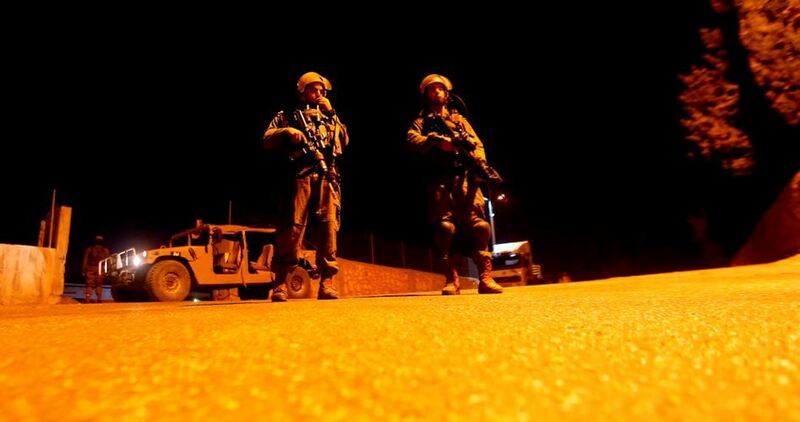 The soldiers also invaded Rantis village, northwest of Ramallah, and abducted two Palestinians, identified as Mohammad Ghannam and Abdul-Latif Issa, after violently searching their homes. The Ghannam family said the soldiers illegally confiscated 3000 Shekels, and a coin bank for used by Mohammad’s child. In occupied Jerusalem, the soldiers abducted two Palestinians, identified as Mustafa Hashlamoun, 19, and Eid Shabana, 21. In addition, the soldiers invaded the town of al-Yamoun, west of the northern West Bank city of Jenin, abducted a young Palestinian man, identified as Mohammad Mahmoud Sammar, and invaded a car wash facility. The soldiers also invaded Deir Sharaf town, east of the northern West Bank city of Nablus, and abducted Ibrahim Mohammad Nofal, 22, from his home. Another Palestinian, identified as Hussein Fahmi Enjoum, was abducted in the al-‘Oja town, in Jericho. In related news, the soldiers shot a Palestinian day laborer in Wadi al-Hummus area, near the al-Khass and an-No’man villages, east of the West Bank city of Bethlehem, as he was trying to enter Jerusalem for work. 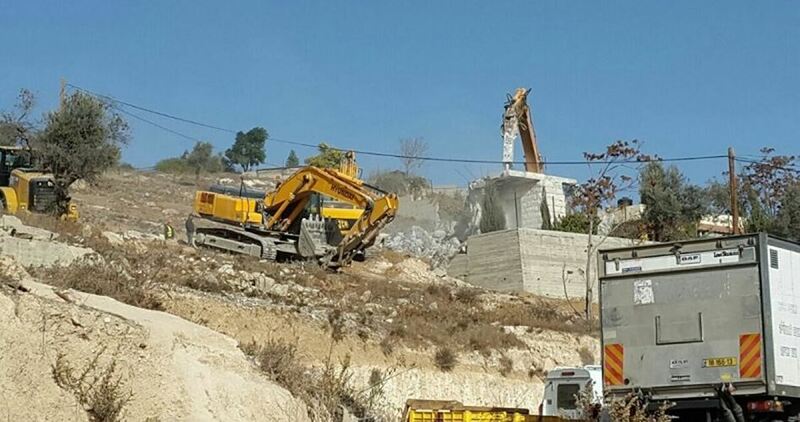 The Israeli authorities on Sunday demolished a Palestinian house in the Druze town of Hurfeish in the Upper Galilee, north of Israel, at the pretext of unlicensed construction. Local sources said that bulldozers escorted by policemen razed on Sunday morning the house of Rayek Sarhan, noting that it was the first time since ages a home belonging to a Palestinian Druze was demolished by the Israeli authorities. In another incident, Palestinian citizens in the Negev village of Umm Hairan frustrated on the same day Israeli attempts to demolish two homes built about 40 years ago in their area. Chief of the village Ra’ed Abul-Qiyan said that the Israeli police tried twice to enter their unrecognized area to demolish the homes, but the residents managed to fend them off. Abul-Qiyan expressed fears that the Israeli authorities might use punitive measures against the villagers after they had thwarted the demolitions. He complained that the Israeli authorities had carried out several demolitions in the village before in order to force the residents to leave the area and then build a Jewish settlement in its place.